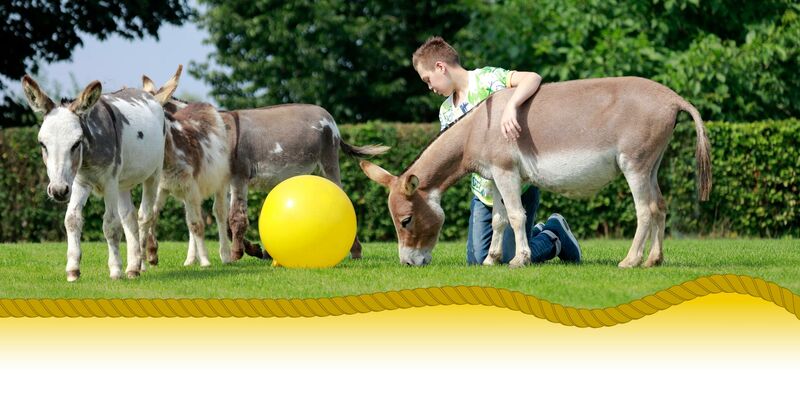 Welcome at Moleneinds Miniature Donkey Farm Were loving, playing, training and showing with donkeys is our passion. 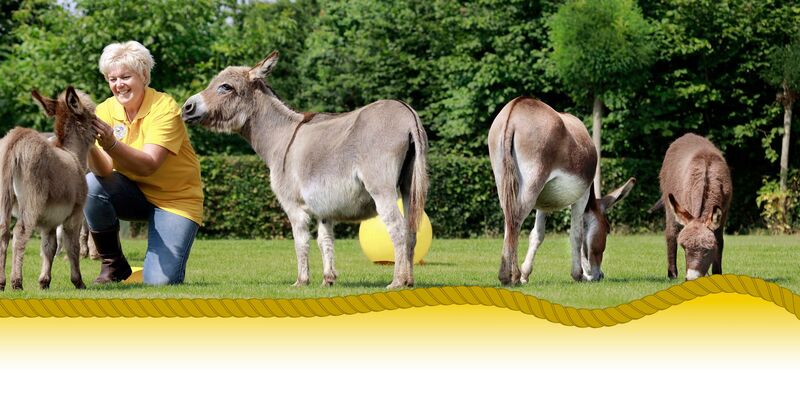 Welcome at Moleneinds Miniature Donkey Farm Were loving, playing, training and showing with donkeys is our passion. Meet our wonderfull little donkeys that carefully selected on the best bloodlines in the world and imported by our selves. Breeding the smallest donkeys with the best quality, and fine heads with big eyes and ears thats our goal! We have the coulors gray dun – sorrel – red – black. 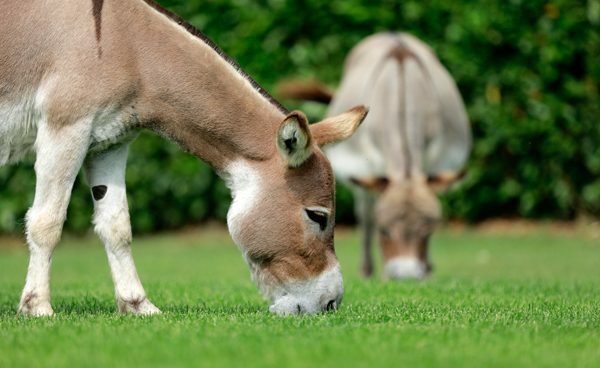 Travel though our website and meet our wonderfull little donkeys, and enjoy our little friends! Summer 1990, I went together with a girlfriend on holiday to Crete. When I saw them in the mountains, I was immediately in love. If I would have enough space for them… Autumn 1994 we bought ground to set our home on and… there was enough space for a barn with some donkeys. We searched for them but everyone who had a donkey wouldn’t like to sell it! But we build the house first and afterwards a fence was placed directly. On 31 July 1996 we bought our first donkey. A real donkey was so great and our passion for donkeys started to grow more and more! 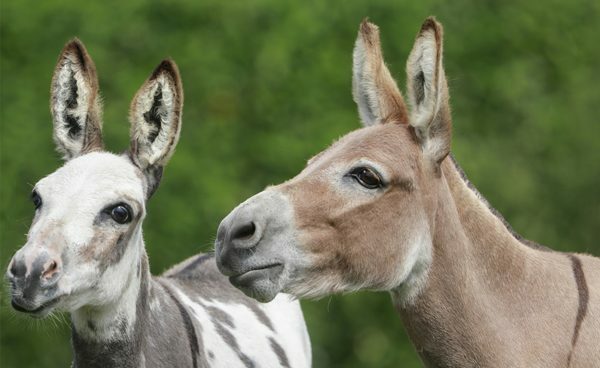 Until we became members of the American Donkey Association. There we met a very unique donkey! A miniature donkey, this dream would never became true… In the meantime there was already contact with America if to import one was possible! It was possible but also expensive, but if you want something… On 22 April 1999 our two miniature donkeys, Emily and Janie Frickie, arrived on the airport of Schiphol, our wish was fulfilled!! 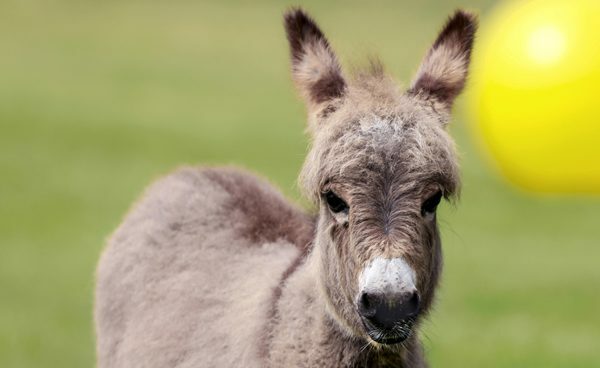 We’ve bought a miniature donkey jack Little Dipper later. After that we got more donkeys that came overseas!